On April 18, 2017, President Donald Trump signed an executive order (EO), “Buy American and Hire American,” which aims to “stimulate economic growth” and “ensure the integrity of the immigration system.” Although this action provides impetus to federal agencies to propose changes to the U.S. immigration system, the EO itself does not present an immediate impact to immigration programs. Upon announcing the EO, the president criticized the “totally random lottery” by which H-1B visas are awarded, suggesting that this will be a key focus of possible reforms. Significant changes to the H-1B program, however, would likely require legislation or regulation, and, there is, a substantial period of time between when administrative or legislative changes are announced, and when they are implemented (if at all). In light of this time frame, employers can expect the current rules governing employment-based immigration visa programs to remain in effect for at least the next several months. Of particular note, processing of H-1B petitions under the annual quota (i.e., the H-1B cap) will proceed unaffected. Although some changes to immigration programs can be expected in time, the legislative and regulatory processes should afford employers time to assess any changes and take steps to mitigate or eliminate potential impacts to their workforces. 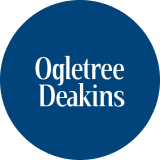 Ogletree Deakins’ Immigration Practice Group will continue to monitor developments with respect to President Trump’s executive orders regarding immigration and post updates as additional guidance becomes available. The Second Circuit Court of Appeals has recently held that a human resources manager could be held liable as an employer under the Family and Medical Leave Act (FMLA). In issuing its decision in Graziadio v. Culinary Institute of America, the court also articulated standards for FMLA interference claims and association discrimination claims under the Americans with Disabilities Act (ADA).